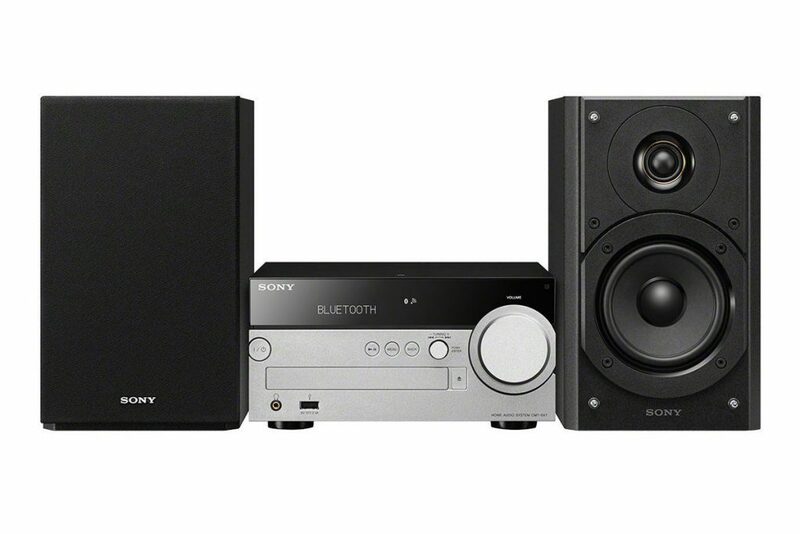 If you wake up to digital radio, study with Spotify, cook with favourite podcasts or relax with music CDs the Sony CMT-SX7B hi-fi system should have you covered. The wide range of inputs and Sony’s built-in audio technologies make this a compelling choice for living rooms and open living spaces. As well as DAB digital radio the Sony CMT-SX7B can play CDs and connected sources through the analogue input and USB port. Wireless streaming is enabled with Apple AirPlay, Bluetooth and Wi-FI. Once connected to a home network the system can also stream music from DNLA devices, such as a PC or home media server. The hi-fi supports Google Home, enabling voice control. Chromecast is built-in for wireless playback of music and podcasts from smartphone apps. As well as DAB digital radio and FM the Sony CMT-SX7B comes with many input sources. Internet radio stations can be played through the hi-fi. Where some units provide built-in streaming radio functionality, with the Sony CMT-SX7B this is achieved through Chromecast built-in. In any apps which support Chromecast, such as Radioplayer and TuneIn Radio, can be used to listen to online radio stations. However, this does mean initiating the stream on your phone or tablet. Unless you listen to a select few online radio stations the convenience of browsing with an app and the audio advantages of a decent hi-fi system make this a good pairing. CDs can be played on the built-in CD player. A USB port on the front panel can be used to connect a smartphone, tablet or USB stick loaded with music or podcasts. Finally, if you have an external audio source with an analogue output, such as an MP3 player, cassette deck or turntable pre-amp, this can be connected using the Line In function. There are two versions of this hi-fi from Sony: one with DAB digital radio and one without. The version with DAB is the CMT-SX7B. Sony have included several technologies in the CMT-SX7B to help listeners get the most from their source audio. The hi-fi is High-Resolution Audio compatible and also uses Sony’s DSEE to recreate high frequency signals which are lost when compressing music to formats like MP3. The S-Master amplifier is completely digital, improving efficiency and avoiding distortion. LDAC is another new technology from Sony which enables high quality wireless audio over Bluetooth. Verdict: This well connected hi-fi shouldn't leave owners without something to listen to. Only the Sony CMT-SX7B version comes with DAB - look out for this model number when buying.